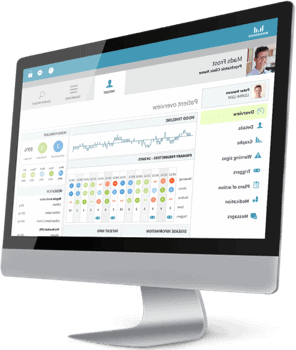 The Monsenso mHealth solution is redesigning the treatment of individuals a with a mental disorder by collecting their health-related data and sharing it with their clinician. 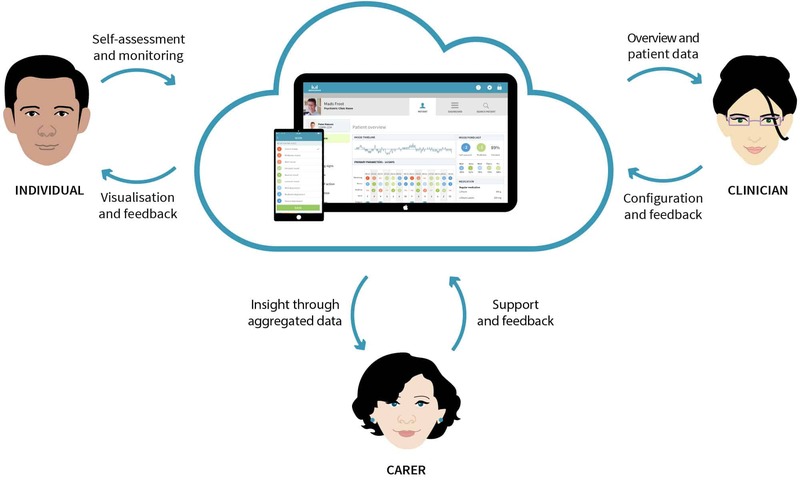 Our mHealth solution encourages individuals to engage in self-care, helps carers play a more active role in the treatment of the one they care for, and it provides clinicians with a remote monitoring tool that assists them to make clinical decisions. Clinicians can access the information collected by the users’ and carers’ smartphones. 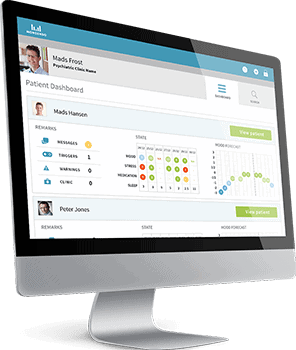 The clinical web portal provides them with an overview of the individuals’ historical data, symptoms, medication compliance, triggers, and warning signs. Individuals use a smartphone app to fill in their self-assessments and clinical questionnaires. Additionally, the smartphone also collects sensor data, such as physical activity, mobility and phone usage. Carers use a similar app which allows them to play a more active role in the treatment of the one they care for, while obtaining the information they need. With the smartphone app, carers can make notes that are shared with both individuals and clinicians. 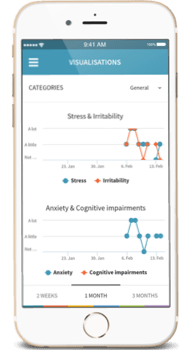 Our mHealth solution for mental health is easy-to-use and cloud-based, so you can keep track of your mental health anytime and anywhere. The Monsenso Clinic has been technically and clinically validated in various clinical evaluation studies and randomised clinical trials (RCTs). It holds a class 1 CE mark, a TGA certification, and is HIPAA compliant. Monsenso Clinic adheres to the highest security standards, is highly scalable, and is already configured to treat individual disorders. Additionally, Monsenso ApS holds the ISO 13485 and the ISO 27001 certifications.